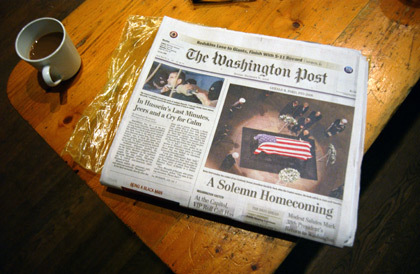 I noticed today's paper has only dead people on the cover. Saddam Hussein and Gerald Ford. It is symbolic because it is the last day of the year. My mom also died this morning in her sleep. The end of the year. The metaphorical winter of life. All came together today. When the lights come down?